DONT PAY $10 - $15 shipping. AAAHeadsets shipping is FREE. 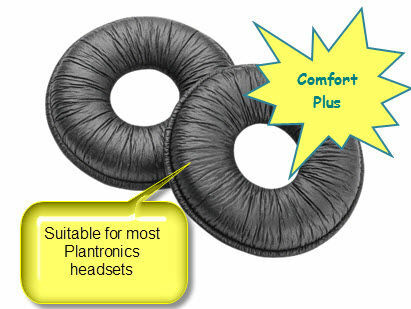 Add comfort to your Plantronics wireless headset, add leatherette ear cushions. These ear cushions are also ideal ear cushion replacements for the superceded Claria headsets. It is recommended that you replace your ear cushions at least every 6 months.